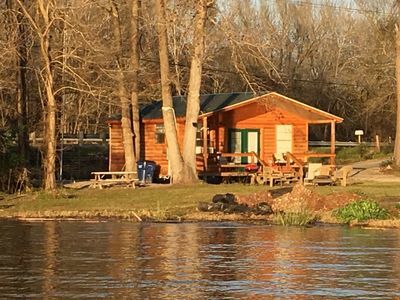 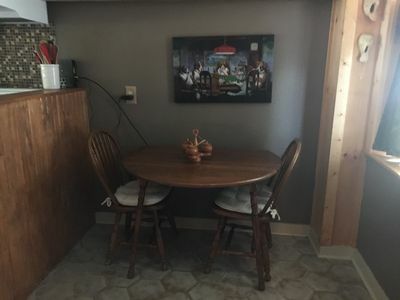 Beautiful waterfront cabin with wonderful comforts, pine interior, log exterior, comfy quality beds, great décor, delux hickory kitchen cabinets and granite countertop, full stove, microwave, leather couch, delux bathroom, etc. 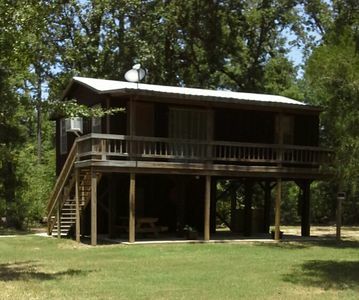 Just completed 200+ channel cable TV, internet WiFi, and roads up to cabin and cabin parking! 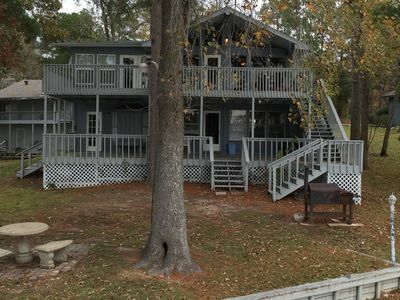 Property is situated on 2.5 acres, in Piney Woods, Polk County Texas, waterfront property right on Lake Livingston, has lots of green areas, is right on water front of the large 22+ mile long Lake Livingston, has lots of trees, grassy areas, and woods and wetlands across the street. 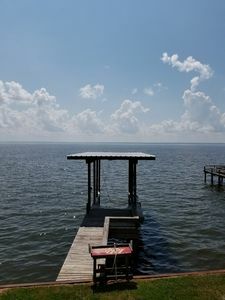 Pier is large and long, and has 3 boat slips. 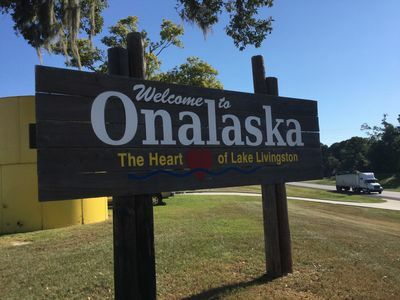 Town of Onalaska is 2 miles away with grocery store and restaurants. 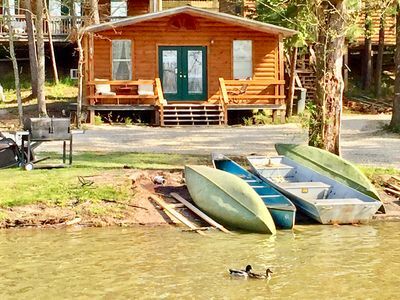 Add family gatherings, fun, beauty, nature, fishing, boating, hunting, antiquing, etc! 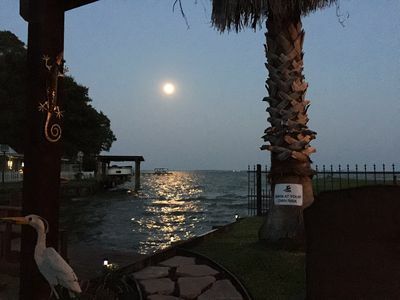 Thomas Paradise on Lake Livingston, Best View of the Lake! 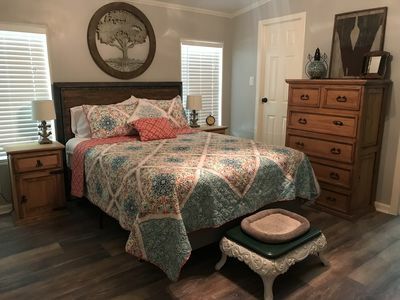 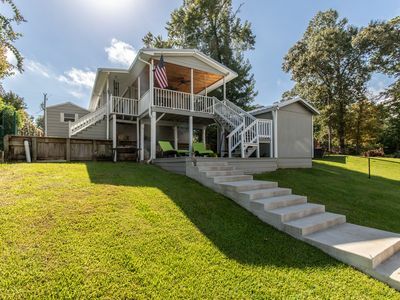 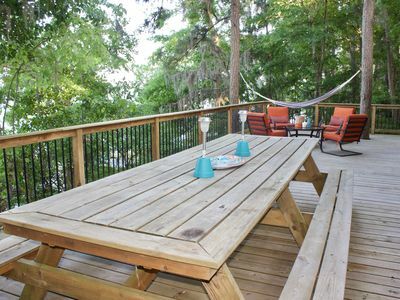 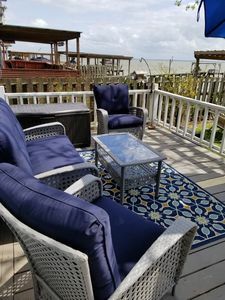 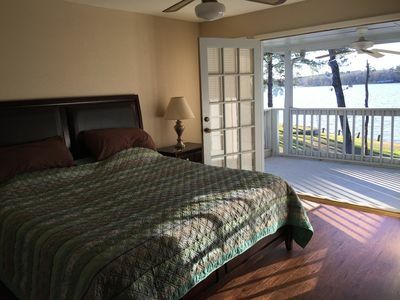 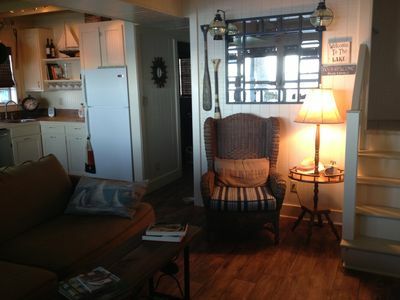 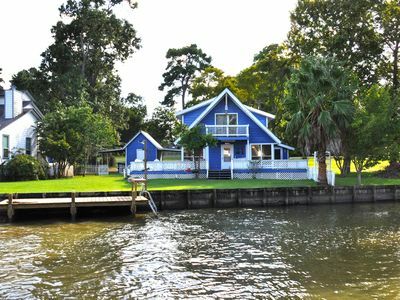 Clean and cozy couples vacation rental, relax & rejuvenate on Lake Livingston.